When the end of each month comes we all seem to feel like our money is stretched to thing and often times we are over committed financially and we have little to no money left. More often than not most people think about saving their money but they never act on that thought. Saving money is an essential part of living a comfortable life and not having to worry about money in the future or in the case of an emergency. In this article you will find several tips that can assist even the most novice person in the way of personal finance. The first step in financial planning is to create a budget. This will allow for you to see on paper what you are spending your money on and how you can save in the future. What a budget should consist of is all of your fixed monthly bills, which include rent/mortgage, insurance, car payments, utility bills, as well as anything else that you pay on a monthly basis. You should also include in your budget an allowance for you to spend on entertainment every month. The best way to keep track of your budget is to monitor your incoming and outgoing money with an online banking service. Click here for an example. Once the budget has been created you can figure out where cutbacks in spending if any need to be. When you are working on improving your personal finance plan you will need to be prepared to compromise on some things. When you see where you are spending your money you might find that it will be necessary to stop spending money on eating meals out, stopping for the morning cup of coffee or anything else that is not necessary. You might be surprised to find how much money you can save when you are not spending on these items. Paying your bills every month is not something that anyone wants to think about or do every month but it is important that it is completed in a timely manner every month. If you miss payments on your mortgage/rent, utilities, car, or credit cards you will find that it will lead to detrimental affects to your credit report and credit history. It is recommended that if you are having trouble making your payments you should contact your creditors and try to work out an arrangement. Your creditors would rather work out an arrangement than not have you pay your debts at all. Being ahead of the game is the number one goal when planning your personal finance goals. 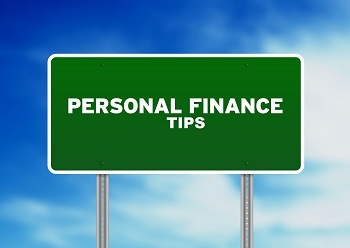 You should create your budget, pay your bills on time and if you have trouble during the month meeting your financial obligations you should speak to your creditors about making arrangements.Once you have all of these in motion you will find that your money will flow smoothly and you will be on the road to great personal finance. If necessary there are other tips available for making your finances work even better.You can search online to find these helpful hints.